Vulcan Cladding Systems has been established through long-standing relationships with customers and international partners. We pay attention to the detail, constantly improve our service and develop new products, listening to the needs of our customers to give high quality affordable solutions. All projects are given the same level of attention and expertise. We hold ISO 9001 quality systems accreditation. Our Mission is to serve people. We operate with integrity, and are committed to the success of your next project. We respect the trust that people place in us, and follow through on our commitments at all times. Vulcan is dedicated to serving the construction industry through architects, local councils, contractors, installers and property owners. We recommend and collaborate with installers, who will take the project through from initial site survey to project completion. Installers take responsibility for Supply and Fix giving Main contractors and end users peace of mind. We have completed many successful projects in various sectors ranging from commercial and retail outlets and rail stations, to residential, educational institutions, hotel and leisure. Typical projects include public walkways, bridges and balconies, commercial and domestic rainscreen or overcladding. See the Galleries for many examples of finished buildings. We partner with overnight pallet and parcel couriers to provide an efficient service throughout the UK and Ireland. 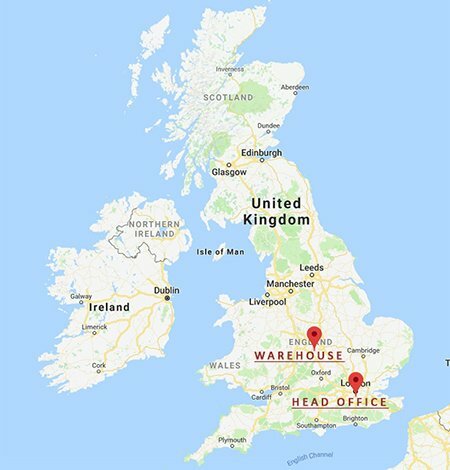 Stock products are packed and distributed via the most applicable cost effective method – we contact site agents or factory managers prior to delivery to ensure offload machinery or manpower is available. To reduce site damage or missing items we recommend delivery of cladding kits just-in-time. Vulcan GRP architectural panels – GRP remains a product of the future, manufactured to bespoke sizes, thicknesses, any BS or RAL colours or translucent. Our process allows flexibility for architects and contractors, whilst maintaining short lead-times. Vulcan weatherboard systems in aluminium and engineered timber have been developed with a full complement of accessories to provide a user-friendly weatherboard kit. Many standard and bespoke colours are available. There are a lot more developments underway. Recent additions to our established weatherboard range is powder coated wood finishes on VulcaLap aluminium; the new T&G plank profile; Rangewood engineered timber with Diamond Kote 30 year paint finish. VOX internal cladding planks provide stunning finishes for commercial and domestic properties from receptions to bathrooms. Real timber cladding continues in popular demand for modern buildings. We now machine to order: Thermowood, Siberian Larch, Western Red Cedar and European Oak. Buyers of real timber must be aware of the colour change and occasional splitting and twisting due to weathering of real timber, which is normally the desired effect with this natural product. We produce a plank profile with special stainless steel clip to avoid direct fixing through the board.